With Halloween season officially under way, it's time to make some decisions on what to wear. And if you're looking for something more comfortable and breathable than the gorilla suit you wore last year, then you need to try on the Zombie Attack Hoodie ($60). 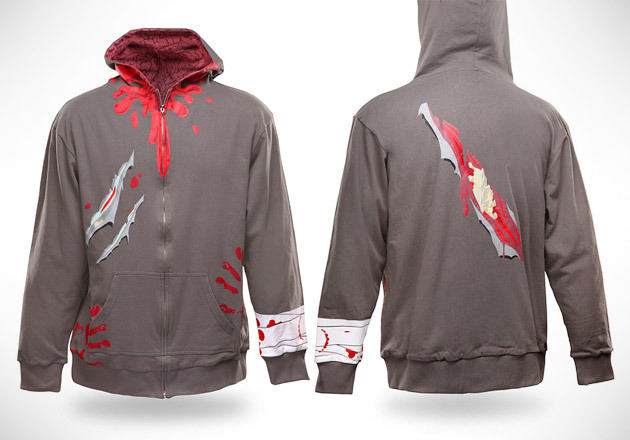 This hoodie is detailed with bloody slash marks, exposed spine, bandage and bite marks, chunk of missing skull and a hood lined with brains. It's not quite a full costume, but it's enough to get you in to costume-only parties and bars.